Countertenor Andrew Hallock actually started his musical life as a composer. He graduated in 2001 as a bachelor in composition at the University of Texas. Born in Austin, Texas, he initially sang as bass in a number of local choirs before finally finding out that his adult voice was a lot higher. After that he studied singing at the Royal Conservatory in The Hague, thanks to the teachers Lenie van den Heuvel, Rita Dams, Michael Chance, Peter Kooij and Jill Feldman. He graduated in 2009 and has been working as a freelance singer ever since. In 2011 he made his solo debut in the Amsterdam Concertgebouw with Bach’s Matthäus Passion. As a soloist he is regularly engaged to the passions of JS Bach, and the cantatas throughout the year. He performed at the Festival d’Aix-en-Provence, the Salzburger Festspiele, the Festival d’Ambronay, the Early Music Festival in Utrecht, and the Flanders Festival. Since 2010, Andrew has been a fixture within Cappella Pratensis, has made countless concert tours in the US, France, Germany, Portugal and, of course, Belgium and the Netherlands. 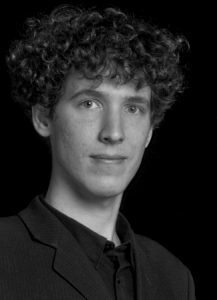 He has performed with il Gardellino (BE), English Voices (UK), The Scroll Ensemble (NL), Bach Choir of the Netherlands (NL), Musiche Varie (DE), Vox Luminis (BE), and is now excited this year. to explore earlier repertoire with Sollazzo Ensemble (CH), and Ensemble Diskantores (NL). In addition to his singing career, Andrew is also involved in the world of cornetti- an old type of wind instrument. He also plays and makes these, attending conferences, exhibitions, lectures, markets and courses … as well as a player and teacher. He studied playing with Marleen Leicher (BE) and making instruments with Paul Beekhuizen (NL). His instruments have appeared on various recordings and are currently being used on stage. As a teacher Andrew gave lectures on wind instruments and temperament for Komenius University in Bratislava 2016 and “vocal play” for the Musica Antiqua Early Brass Course in Virginia 2017. He coached vocal ensembles for Alamire Foundation 2016, and Stichting Koorprojecten Rotterdam 2018. Every August is Andrew is one of three voice teachers in the Cappella Pratensis summer school – a one-week course in singing from the old notation. He also gives co-lessons to a course making instruments with Sam Goble – “make your own cornetto”. In his spare time, Andrew spends a lot of time in the kitchen, and also improvises midnight snacks and good meals. He is involved in traditional woodworking techniques, sound and video editing, kombucha brewing, cycling and chess.